Any contact lens that is removed from the eye needs to be cleaned and disinfected before it is re-inserted. There are a wide variety of contact lens solutions on the market. 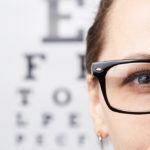 Your eye doctor can suggest the best solution(s) for you, depending on the type of lens you use, any allergies you might have, and whether or not your eyes tend to form protein deposits. Care of contact lenses includes cleaning their case as well since it is a potential source of infection. The case should be rinsed with water, wiped and allowed to dry. Saline Solution: It is designed for rinsing off your contact lenses. Since it does not kill bacteria, it is not recommended for storage of your contacts. 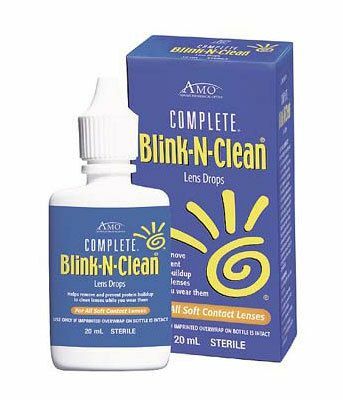 Disinfecting Solution: It is designed for storage of your contacts, it kills bacteria. It is available as a single solution or a multi-purpose solution. Multi-purpose Solution: This solution is a mixture of a disinfectant and a daily cleaner. These solutions make the daily routine of cleaning easier. Daily Cleaner: It is a solution which mechanically removes bacteria and deposits from the contacts by manually rubbing the contact lens. Enzymatic Cleaner: This is a cleaner which chemically removes deposits from contacts. Re-wetting Drops: These are designed to moisten your contacts when dryness occurs. Always wash and dry your hands before you handle your contacts. 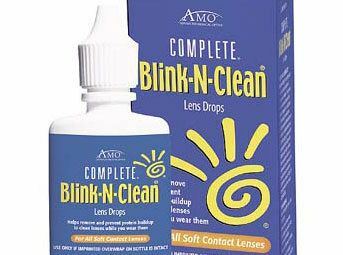 This will keep the contacts free of skin oil, dust, and sweat. Always pick up your contacts with your fingertips. Avoid using your fingernails which can scratch or tear the lens. While wearing contacts, avoid irritating or toxic fume environment. Do not bring soaps, cosmetics, perfumes, or hair care products in touch with your contacts. Contact lenses that are not properly cleaned and disinfected increase the risk of infection of the eye. Lenses that are old or not properly fitted may scratch the eye, or induce blood vessels to grow into the cornea. 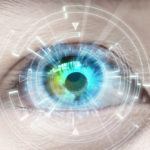 Because a thin lens can warp over time, and the cornea can change shape, the fit of the contact lens and the power should be re-evaluated on a regular basis. 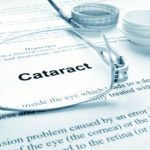 Any medicated eye drops can react with contact lenses, it is best to avoid the use of eye drops while the contact lenses are worn, except for wetting drops recommended by your eye doctor. Please call us toll-free at 1-877-NEOVISION (1-877-636-8474) for more information about contact lenses. We can recommend eyewear that most enhances your appearance and recommend contacts most suitable for your prescription.